Around the 6 mile week, my left knee started to hurt near the end of the run. Thinking nothing of it, I pushed through. By the time I hit the 9 mile week, it was hurting 3 miles in and making the rest of the run impossible. Not good. After some research and talking with a friend who's a physical therapist, it became clear that I over stretched my IT band and it was pulling on my knee, which was where I felt the pain. It's strange how you can hurt yourself in one way, but feel the symptoms in a completely different place (this must be a good analogy for something in life...). All that to say, I threw my training schedule out the window and played it by ear. So, when the day came for the Albany Half Marathon, I decided to walk and finish instead of push myself and get seriously injured. I've also decided that it's much more fun to participate with a friend (I'm actually a social runner). So when I complete another one, I'll be looking for someone to run (walk?) with. 2) I'm happy to share that I'm on track to memorize 52 Bible verses. This is what the wall looks like above my desk. 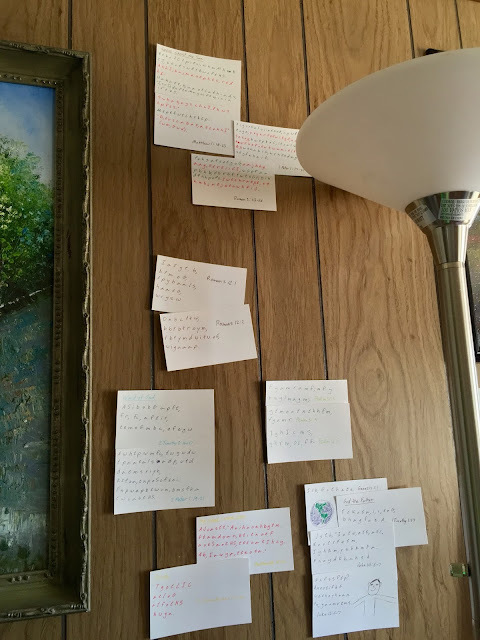 Each card is a different passage with only the first letter of each word. That way I can quickly look up and review one of them. I'm not nearly as artistic and Jessi, but it works for me. 3) I can do 100 push-ups and am now focusing my efforts on the crunches. At first I thought I could ramp up both at the same time, but that didn't seem to work because I would be too tired from the first set. 4) I launched a website called Professional DIY Landlord that's dedicated to teaching new landlords how to manage their property professional: to maximize long term cash flow and minimize headaches. My current focus in on content creation and promotion to build up a mailing list. To be honest, it's been a struggle to find the time to write regularly, especially with a new member of the family. So far the best solution has been to wake up at 5am and write for a couple hours before starting my official morning routine (verse memorization, working out, etc). However, I find that I can only wake up that early a few days per week before I start dragging and need to catch up on my sleep. This is a project I'm committed to, and so I'll need to keep experimenting to find a sustainable solution. 5) My "improve eye contact" goal was never really track-able, so I'm not really sure how I'm doing. My guess is that it's hit and miss. Still, I'm continuing to practice. 6) I was doing great and only watching one show / movie per day... and then Elinor came along. It's simply easier to watch a show while holding her than doing anything else. I'm still watching less than I used to, which is good, but I'm off track on this goal. Any suggestions on things to do when you're on baby duty? 7) I'm a little behind on the book reading goal. 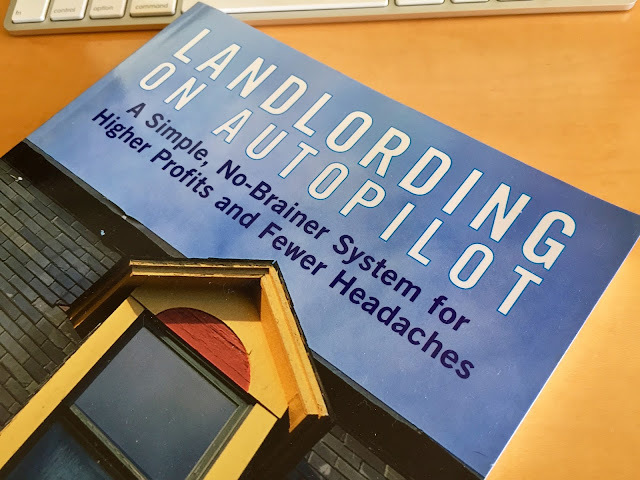 I read Landlording On Autopilot and it's pretty good. 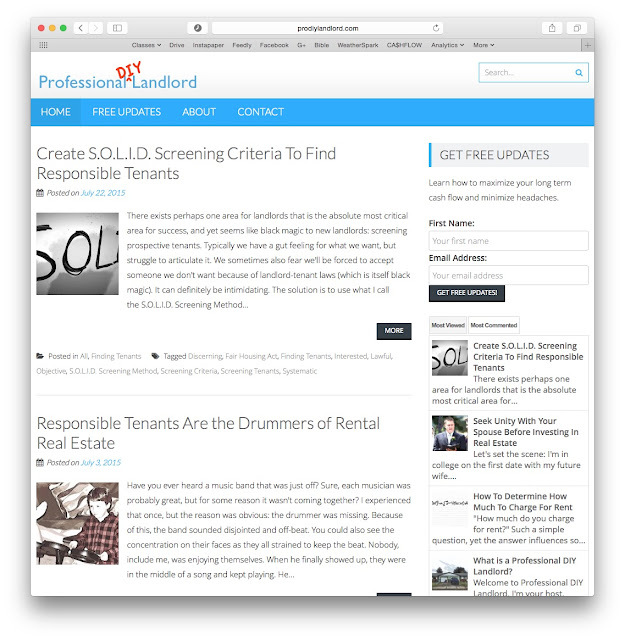 There are definitely some good tips, like his new tenant introduction package, that we'll be implementing. I'm currently in the middle of two books: The Reason For God by Tim Keller and Graphic Design for Nondesigners by Tony Seddon. One is for a new men's group I joined and the other is fun. I'll let you guess which is which. I also recently made a small change with is having a dramatic impact on how much a read: Instead of keep my book on my desk, I put it next to my bed. Now, when I'm going to bed I see the book and remember to read. This is what I used to do growing up and in college and I read all the time. By simply changing the location of the book, I'm back to regularly reading 20-30 minutes each day. Amazing. So there's a mid-year check-up on my goals. If you run into me, feel free to ask how I'm doing and hold me accountable.